Use technology to automate clinical information exchange and improve coordination of care. Build smarter flow sheets with aggregated data to enable more efficient point-of-care decision making. Streamline and improve clinical documentation to support better patient care and communication between providers. Gain insights into the effects of interventions aimed at improving quality of care and outcomes for specific patient populations. Design and implement programs that drive quality improvement. Develop curricula that improve patient safety. 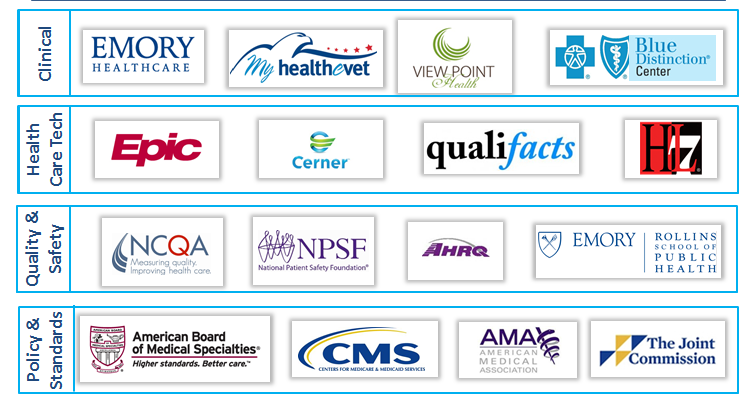 Qualify for Meaningful Use incentives across specialties and settings. When our clients achieve their goals, we have been successful. Our work has helped clinicians, researchers and standards bodies realize their goals in the areas of: operational effectiveness, technology delivery, quality of care, and improved patient outcomes. Our projects achieve meaningful results across stakeholder groups, including patients, providers, IT directors, department chairs, principal investigators, research coordinators and research data analysts.